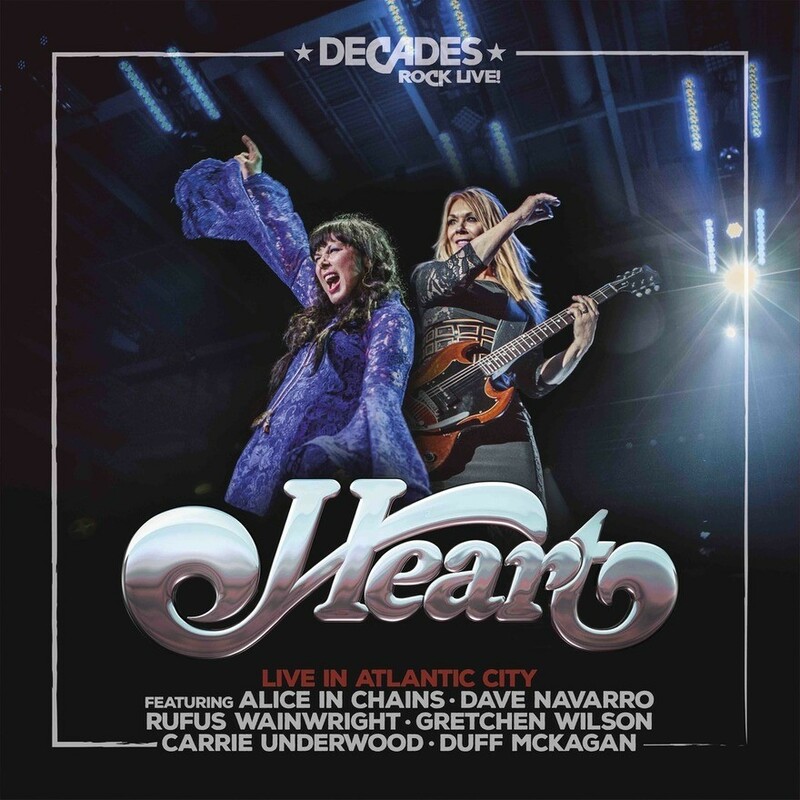 Due January 25, the project captures the band’s appearance on the VH1 series “Decades Rock Live!”, where singer Ann Wilson and guitarist Nancy Wilson were joined by guests Alice In Chains, Duff McKagan, Dave Navarro of Jane’s Addiction, Carrie Underwood, Gretchen Wilson and Rufus Wainwright. Each guest artist had the chance to perform two or three songs together with the band (see list below), as they delivered a set of classic rock songs from their catalog alongside a pair of Led Zeppelin tunes and a jam on some Alice In Chains tracks with McKagan and their fellow Seattle rockers. 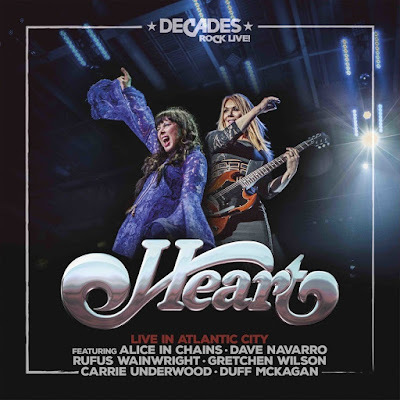 “Heart: Live In Atlantic City” will be released in multiple formats, including LP, CD, DVD, BluRay and Digital Download. Heart have been on an extended hiatus following an August 2016 incident at White River Amphitheater in their Seattle hometown that saw Ann’s husband, Dean Wetter, allegedly assault Nancy’s children backstage during their concert. In March of 2017, Wetter plead guilty to two counts of fourth-degree assault and was handed a suspended sentence of 364 days in jail, meaning he would not serve any time; his plea agreement includes restitution, two years of probation, counseling and no contact with his nephews. DVD and Blu-ray also include bonus footage "Heart Confidential"